We'll help you save on Equitable Life Insurance! An increasing number of Canadians are realizing the importance of taking steps to protect their family’s financial future by investing in life insurance products. At ThinkInsure, our team of experienced life insurance brokers can walk you through the steps to get a life insurance quote, answer your questions about life insurance coverage, and help you choose the right life insurance product to protect you and your family. Get started by getting a quote for Equitable Life of Canada life insurance. Who Is Equitable Life Of Canada? Since 1920, Equitable Life of Canada has provided residents in Ontario and across Canada with a variety of financial services to provide them with the security they are seeking. While they don’t offer typical insurance products such as car insurance, home insurance or travel insurance, they do specialize in individual life insurance products as well as financial services for retirement and savings, investment management and group benefits. Why Get A Quote From Equitable Life Of Canada? They are a mutual company : The company is owned by their participating policyholders, not shareholders, allowing them to focus on your specific needs and interests. They are committed to their team : The company has been named one of Waterloo’s Top Employers for eight years in a row and counting, showing they are dedicated to creating a strong and lasting organizational culture. They are community focused : Equitable Life takes pride in giving back to the community through a variety of charitable initiatives. They provide financial support to local community groups and organizations as well as national charities such as the Canadian Red Cross and United Way. Superior service and industry leading products : Working with independent advisors and insurance brokers across Canada, the company is able to provide life insurance solutions that work for you! Equitable Life’s mission is to provide financial security to their customers, and their life insurance product options help them stay true to this goal. In total, Equitable Life offers 5 insurance products for Canadians – each of which provides people with flexible solutions that help them meet their financial goals. Equimax Estate Builder : Ideal for higher long term value. Equimax Wealth Accumulator : Ideal for those seeking higher cash value within 20 years. EquiLiving provides coverage for many illnesses such as cancer, stroke and heart attack, Alzheimer’s disease, Parkinson’s, Multiple Sclerosis, and many other debilitating illnesses and health conditions. Living Protection : This is a form of critical illness insurance that covers the foremost common diseases – heart attack, stroke, cancer, and coronary bypass surgery. Final Protection : This is a form of non-participating whole life insurance that provides up to $50,000 of permanent protection for people from age 40 – 80. 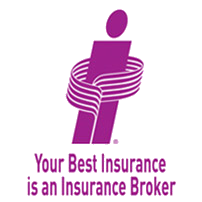 Get a life insurance quote, ask questions, or compare coverage options by contacting a ThinkInsure broker today! Contact us toll-free at 1-855-550-5515. Shop For Equitable Life Insurance Quotes Today! Want to get a life insurance quote from Equitable Life? Have questions about their life insurance products? Contact our life insurance brokers today, and we will gladly help you explore your options for life insurance coverage. Contact a ThinkInsure broker today toll-free 1-855-550-5515 to get a Equitable Life Insurance quote or learn more about coverage options.